Are you thinking of going horseback riding for the first time? Don’t be ashamed if you’re a bit nervous about it, it’s only natural to feel that way when you’re about to ride a living animal! That said, you can’t let these emotions transform it into a scary or stressful experience. Just follow a few tips and make sure it is the fun, pleasant activity that horseback riding should be. It’s very important that you’re guided by an expert when you start horseback riding. 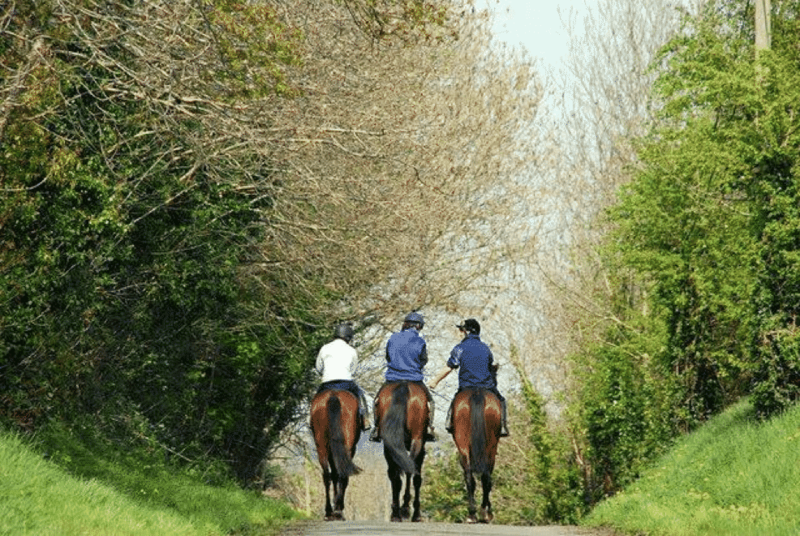 Find a ranch nearby, book a tour or go on a horseback riding holiday where they will instruct you properly and create a safe environment to avoid an accident. 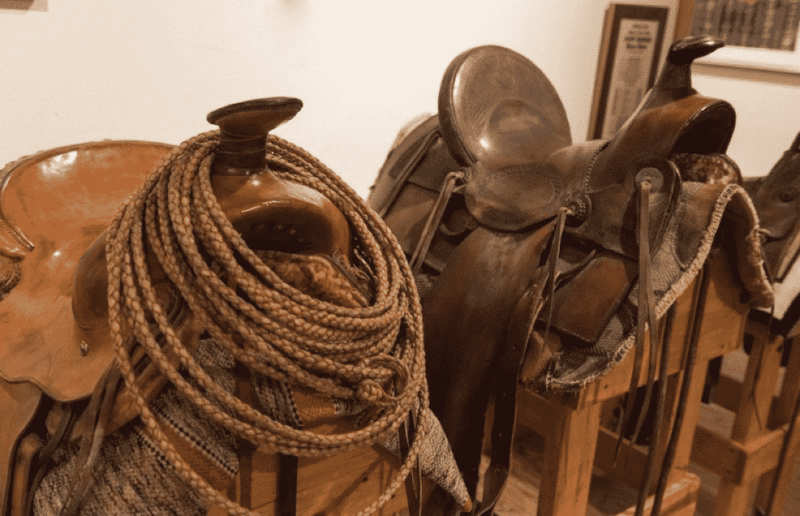 And considering that they will have everything set and ready for you, we can skip all advice on how to put on a saddle or bridle right now, so you can focus on actually riding the horse. Never forget: embrace every single moment of your first time going horseback riding; after all, you can only be a rookie rider once in your lifetime. And if you follow these tips, you can look like an expert right off the bat! It might be obvious, but you don’t want to show up wearing a mini skirt or your beach sandals (don’t wear what’s in the picture!). Long pants and the proper footwear are essential for horseback riding. Any close-toed shoes might do the job, but it would be ideal if you have cowboy boots or a pair of shoes with a short heel (no more than 1-1.5 inches) to avoid your feet from slipping through the stirrups. 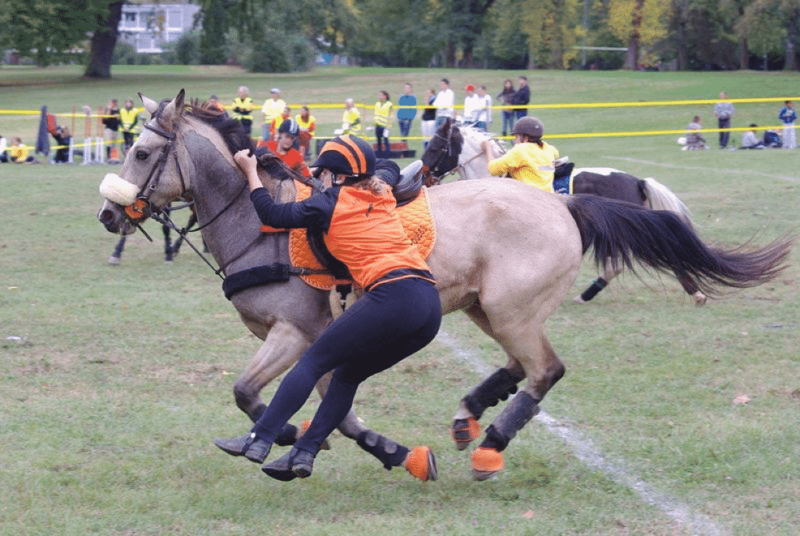 Don’t wear scarves, purses or any other accessory that could get tangled in the horse, the saddle or even a tree. Lastly, to be completely safe, it is recommended to wear a helmet to protect your head (you know, just in case). Keep in mind that your horse is a living creature, not a vehicle that you can control at your will. The horse could also be nervous, tired or even scared to have someone new riding him. Therefore, to establish a good relationship since the beginning, greet your horse when you’re introduced to him at the ranch. To greet your horse, extend your arm and offer the back of your hand to him to smell and wait until he touches it with his nose. This simple action is called the “horseman’s handshake” and you could interpret it as a way to ask him for permission to mount him. If you’re nervous, the horse can feel it and he might become uneasy too. Horses at ranches are typically trained to be mounted on the left side. Most possibly, your guide will be holding your horse’s head while you’re mounting, but if that’s not the case, ask someone to do it so he doesn’t move while you get on him. Lift your left foot into the stirrup, hold both reins with your left hand and propel yourself up with your right leg trying to mount as smoothly as possible. Don’t push the horse down with your arms, this could hurt him; you can put your hands on his back but just for balance. 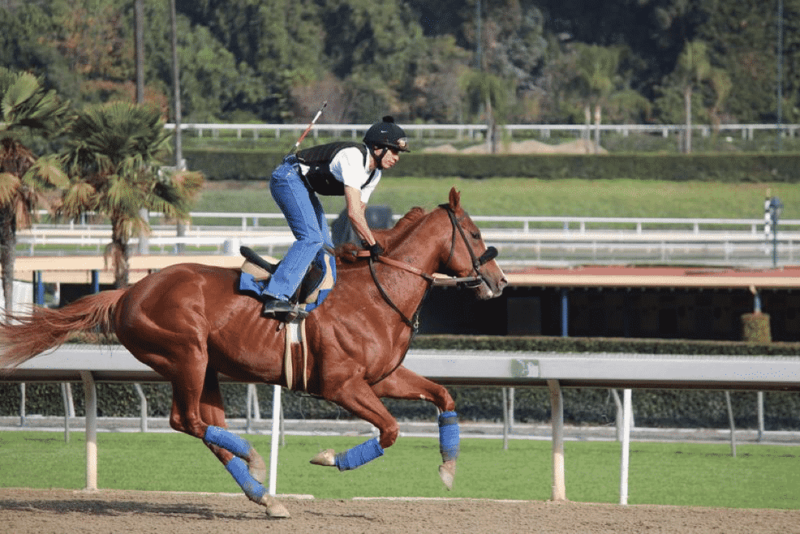 Maybe you happened to watch the Kentucky Derby and felt excited enough to think that you had to hunch to ride as fast as possible like the professional jockeys on TV. Well, keep in mind that you’re on a calm horse riding weekend, not at the Breeder’s Cup. 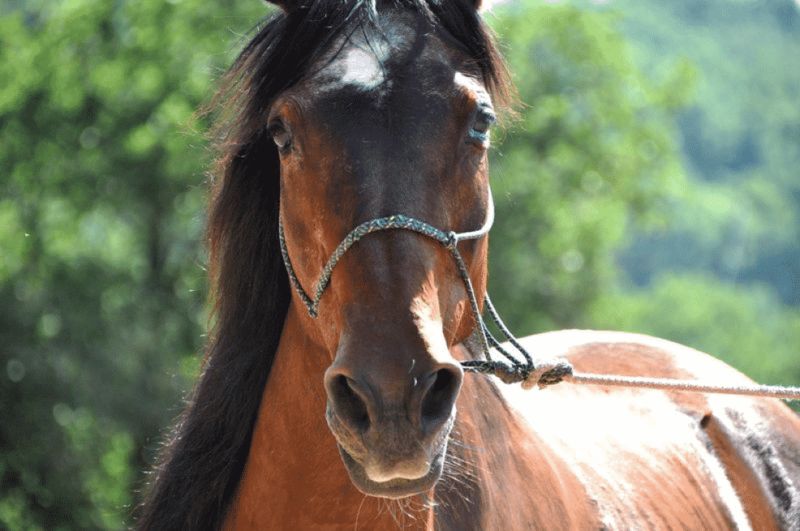 The best position to keep control of your horse is to sit up straight and tall, relax your back, hold the reins gently, set a foot in each stirrup, and hold your balance to not make your horse feel like he’s carrying a heavier load. Your riding technique might depend on which style you’re learning, English or Western. In English riding, you take a rein in each hand, while in Western riding you grab both reins in one hand. Whichever you choose, relax your arms and never pull too hard or you might hurt your horse. There’s rarely a good reason to lift the reins above your shoulder level, your arms should normally form right angles at the elbow. To direct your horse to the left, move the left rein towards the left in a motion like opening a door. If you want to stir to the right, just do the same with the right rein. Stop by gently pulling back and pushing the heels down. You should not count on the saddle horn to keep your balance. 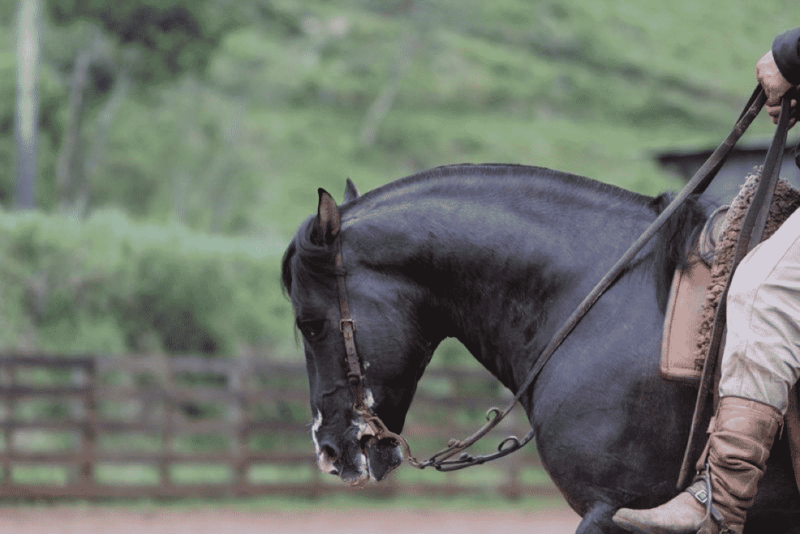 If you feel unstable, try adjusting your posture, extending your legs or holding the reins more gently, but the saddle horn should not be used for that. If you make it a habit to hold the saddle horn, when there’s an unexpected situation along the way, this is a much more ineffective position to keep your balance and you’ll be more likely to fall. That’s why you should never get used to holding onto the saddle horn even though you’re just walking. It’s better to learn properly from the start than developing bad habits that could hurt you in the long run. Don’t fix your gaze on your horse while you ride. As beautiful as he is, you must always keep your eyes on the trail. Staring at your horse would be the equivalent of paying attention to the hood of your car while ignoring the road ahead (you surely wouldn’t want to be in a car with such a driver). It is said that you should look ahead through the horse’s ears. But as long as you keep sight of the path while holding a straight posture, that should be enough to have a safe trail riding trip. Here’s our best Mr. Miyagi-ish lesson: be your horse. Stay calm and move your body to the rhythm of your horse. Feel the way he is walking and let him rock you from side to side without resisting. If you’re too tense, you might bounce, get thrown off balance and cause some discomfort in your back. Let the horse be. And this doesn’t mean that you can let him do whatever he wants, but you can play the role of a leader, not the one of a dictator. Remember point number 4? Reread the first paragraph and regain that mindset for tip number 9. Most horses have four speedy gaits: walk, trot, canter, and gallop. As you might have deduced with your anti-Kentucky derby mindset, galloping is out of the question when you’ve just started with horse riding. The walk is the steadiest gait and that could very well be the fastest you go the first time. It’s not worth it putting your safety at risk just for the sake of impressing someone (besides, a broken arm if you fall is not as impressive as it was in high school). You can probably start trotting at one point, but anything faster might not be the wisest decision as a newbie. Whoa! Once you’re ready to dismount, make sure your horse is still and it’s much better if someone holds the horse while you do so. Get both feet out of the stirrups, lean forward, swing your right leg over the horse, and jump off. Just as when you mounted, try to do it as smoothly as you can. Thank your horse, give him some water and embrace the feeling of having come back safe. You most possibly won’t be able to wait much longer to get on a horse again! Alberto G. Güitrón: Writer contributor for BookHorseRidingHolidays.com. Still a novice rider who dreams of getting on Gandalf’s beautiful horse, Shadowfax. He has been published on Huffington Post, The Wellness Universe, Yoga Matters, and many other websites. He also published the novel El Sueño de Unos in 2016. ← Is Icing Still a Valid Treatment for Injuries?